Following the liberation of all Iraqi territory from ISIS in December 2017, the Government of Iraq is putting in place a comprehensive reconstruction package linking immediate stabilisation to a long-term vision and initiating a recovery and reconstruction process. The country is prioritising investment expenditure for reconstruction in areas liberated from ISIS and for increasing electricity production. 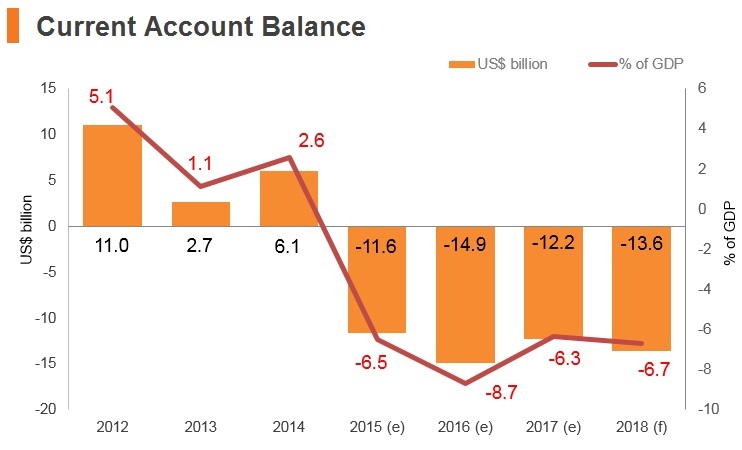 In 2017, the current account deficit was estimated to have returned to a surplus. 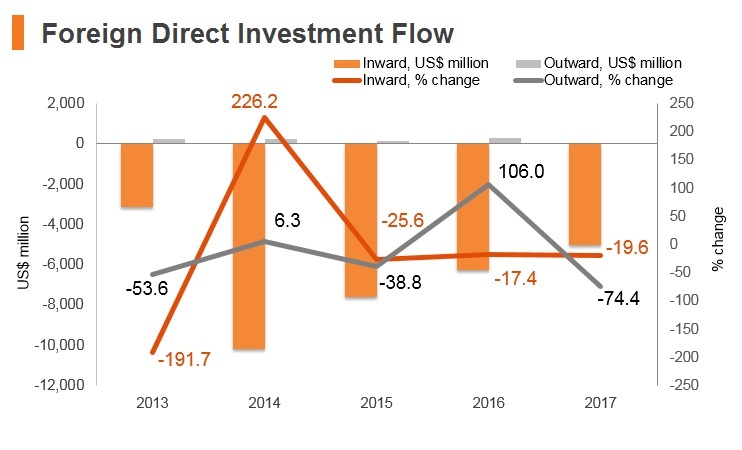 Iraq's recent contracts with major oil companies have the potential to greatly expand oil revenues, but Iraq will need to upgrade its refinery and export infrastructure to enable these deals to reach their potential. That said, higher oil prices should buttress the economy in the quarters ahead. Parliament recognised the Shi'a Popular Mobilisation Units (PMU) as part of the armed forces with full legal status. Government forced with Shi'a and Kurdish allies drived Islamic State out of all but a few remote areas. Parliamentary elections. The political bloc of Shi'a cleric Moqtada al-Sadr won most votes. 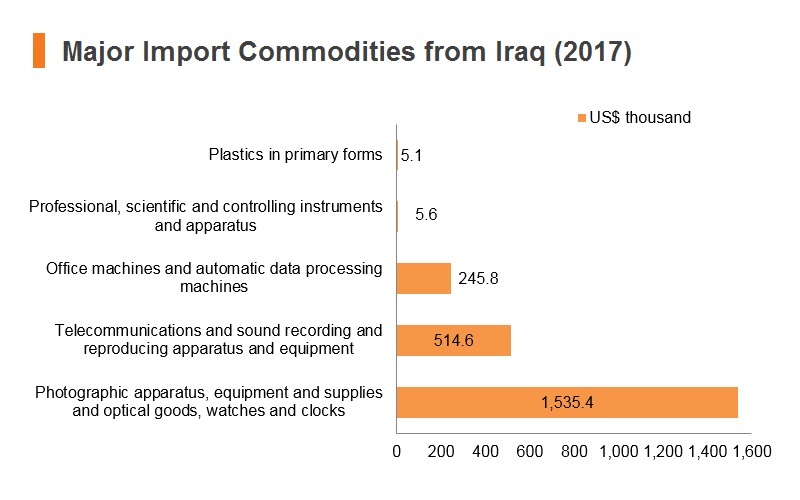 Iraq's non-membership of the WTO means that it has few preferential trade arrangements in place and consequently all imported goods are subject to the costly tariff regime regardless of their origin. Access to large markets is also somewhat restricted, though agreements do exist with the EU and some other MENA countries. 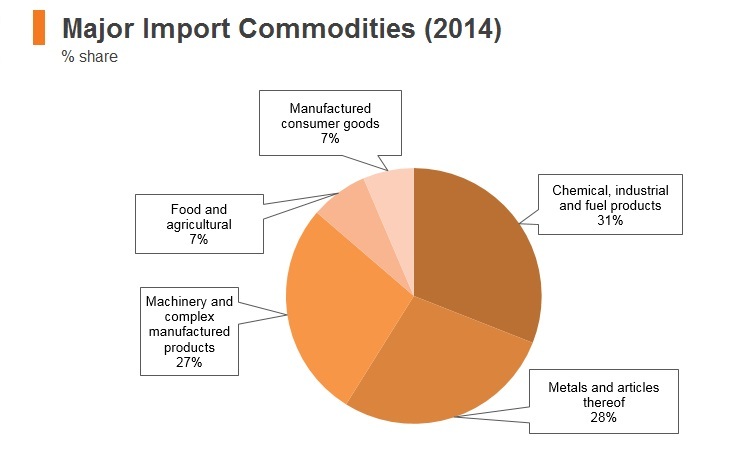 A flat 5% import tariff has been replaced since 2016 with a multiple tariff rate regime which ranges from 0%-80% for agricultural goods and from 0%-40% for non-agricultural goods. 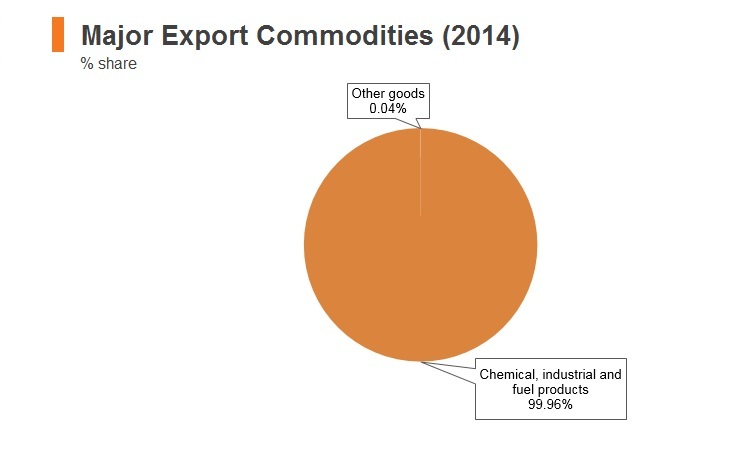 The opacity and convoluted nature of the trade regime also makes it difficult for firms to calculate tariffs and increases the risk of corruption and smuggling which damages the effective functioning of supply chains. A sales tax of 300% is imposed on alcohol and tobacco (cigarettes), 15% on travel tickets, 15% on cars, and 20% on mobile recharge cards and internet. This is in addition to services rendered by deluxe and first class restaurants and hotels, which are subject to a 10% sales tax. There is no tax provision in the Iraqi tax law addressing excise taxes. The customs duty rates are specified in the customs tariff and the agriculture agenda that are annexed to the Customs Duty Law. Certificates of origin are required for all products, which must include approval by numerous agencies in Iraq and the origin country of the goods. This is particularly difficult for imports of complex manufactured products which are comprised of parts from multiple different countries. The conflict in Syria and its spill-over into Iraq has caused huge disruption to trade flows between Iraq and its neighbours, including Jordan, Syria and Lebanon. 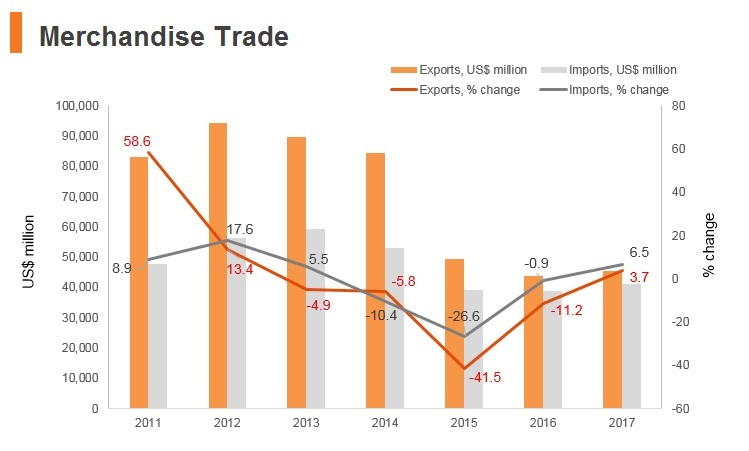 The damage to infrastructure and security risks caused by Islamic State will also continue to delay supply chains in the short-medium term, despite the group being driven out of the country in late 2017. 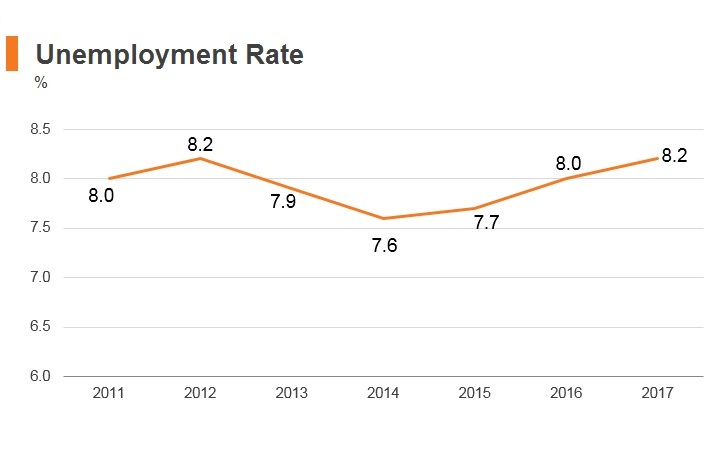 Greater Arab Free Trade Area (GAFTA): The GAFTA saw tariffs between 17 Arab states rapidly decline from an average 15% in 2002 to 6% in 2009. 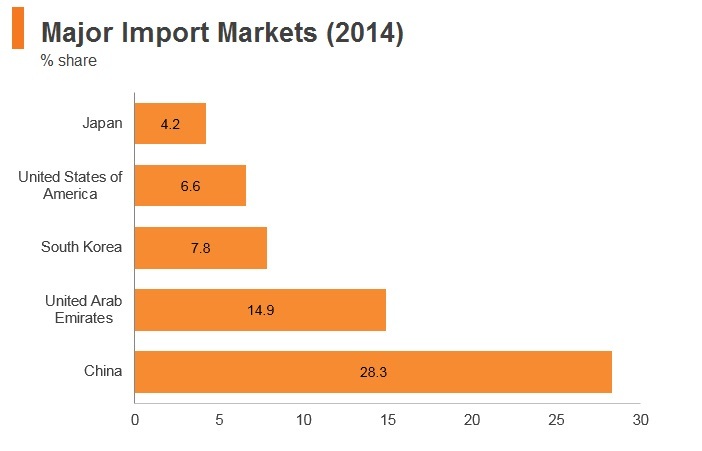 However, the preferential rates available under GAFTA are not applied consistently by Iraqi customs, while trade between member states remains somewhat limited. 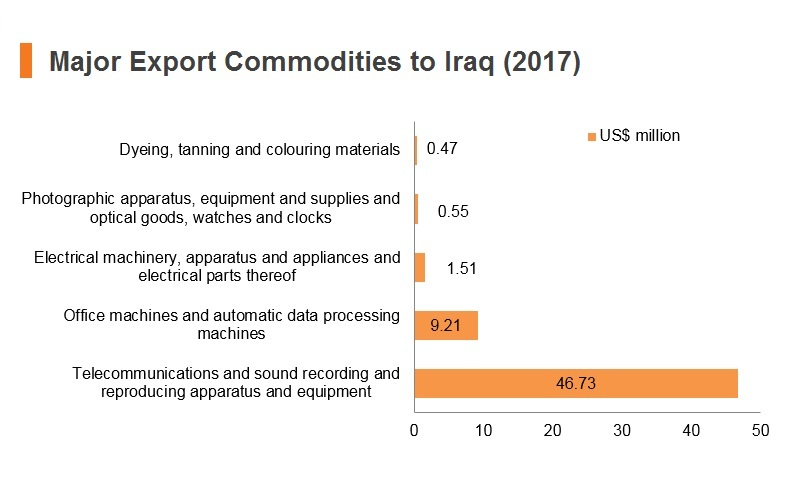 EU-Iraq Partnership and Co-operation Agreement: The EU offers a huge market for Iraqi goods and is a key source of imports. While not a full free trade agreement, the Partnership and Cooperation Agreement offers some preferential trade access and provides a basis for further liberalisation of trade measures. Global System of Trade Preferences among Developing Countries (GSTP): The partial scope agreement came into force in April 1989. 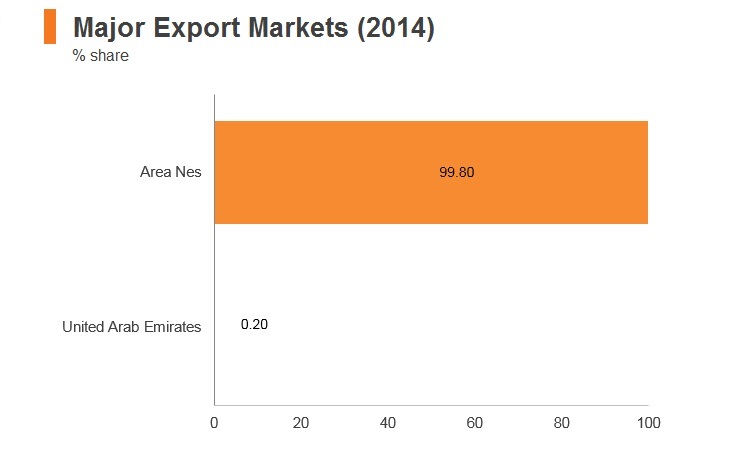 Pan-Arab Free Trade Area (PAFTA): The free trade agreement came into force in January 1998. 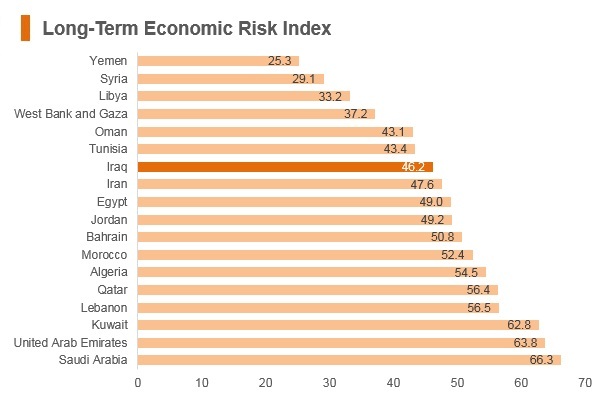 Iraq's attractiveness as an investment destination is dented by challenging operating conditions. 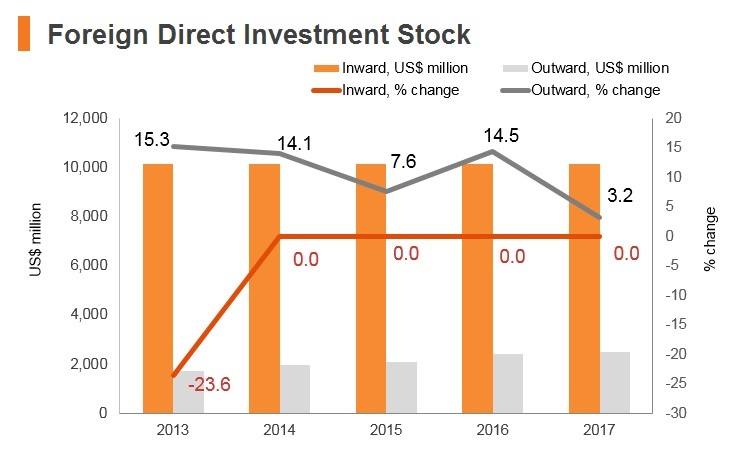 Some barriers have emerged as a direct result of government policies, for example, foreign investment is barred or capped in a number of sectors including utilities, transportation, agribusiness and mining. The government continues to operate restrictions on foreign investment in certain sectors, particularly those with strategic value to the Iraqi economy, such as oil and gas. Foreign ownership of hydrocarbons resources is not permitted. This means that international oil companies must take technical service agreements or production sharing agreements which are time-limited. Non-resident persons or entities are not allowed to own land for industrial purposes without an Iraqi partner, except for the purpose of developing residential real estate projects. In accordance with the Iraqi Investment Law, approved industrial projects are given certain custom duty and tax incentives; however, oil and gas is not one of the sectors that is normally granted investment promotion exemptions incentives. The tax incentives may include corporate tax, individual tax, and others; however, the tax incentives vary from one project to another. The Board of Investment Promotion has the authority to add any sector or specific project to the list of sectors or projects that benefit from the investment promotion law incentives. Income tax paid to a foreign country on income earned in that country may be credited against tax paid to Iraq. The amount of the credit may not exceed the amount of tax assessed in Iraq. 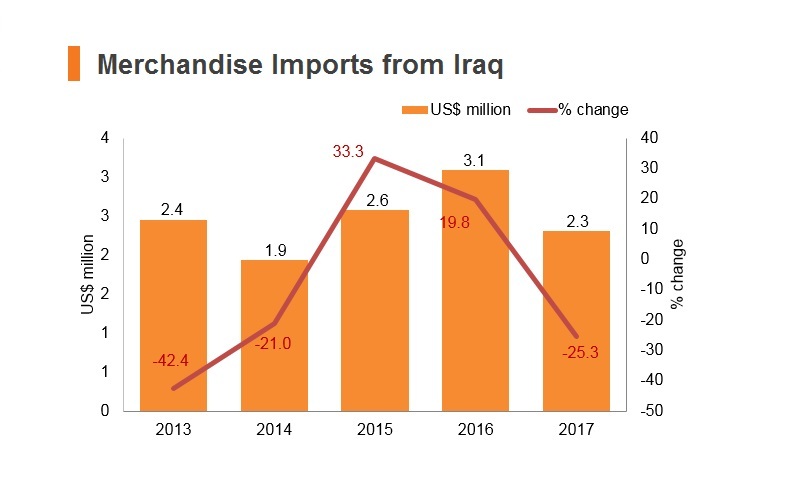 All foreign-owned entities in Iraq must employ Iraqi nationals as 50% of their workforce, while foreign firms are also encouraged to partner with and procure from local industries. Government tender processes in Iraq are opaque and often plagued with corruption, creating difficulties for foreign businesses attempting to win government contracts. Government ministries are also required by law to give preference to SOEs when awarding contracts, even if their bids are more expensive than those offered by other firms. 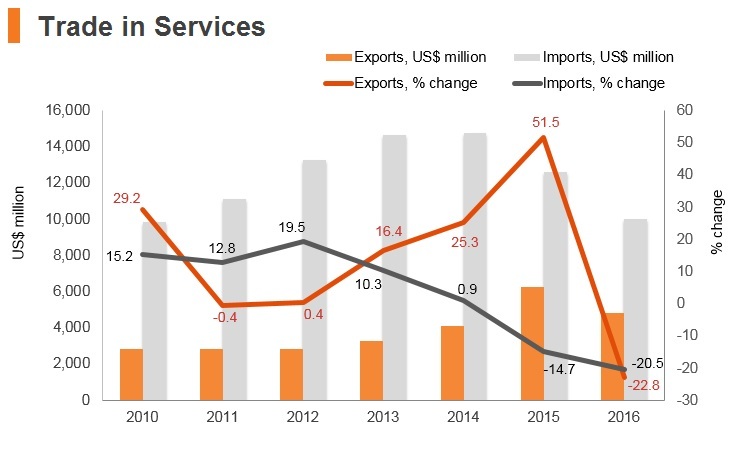 SOEs are present throughout the Iraqi economy, with over 190 currently operational in a diverse range of sectors. SOEs receive preferential treatment by law in a broad swathe of areas including the awarding of government contracts, the allocation of financing, and the availability of subsidies. Khor al-Zubair in the south, Nineveh in the north, Fallujah in the centre, and al-Qaem in the west - These zones allow exemption from all taxes including corporation tax and fees for goods imported and exported from the areas. - They also offer access to key transport routes, infrastructure and services, although the level of development and availability of facilities varies significantly. Social security contributions (all employers) Employers are divided into a number of categories, which is the driver for determining the contribution percentage. 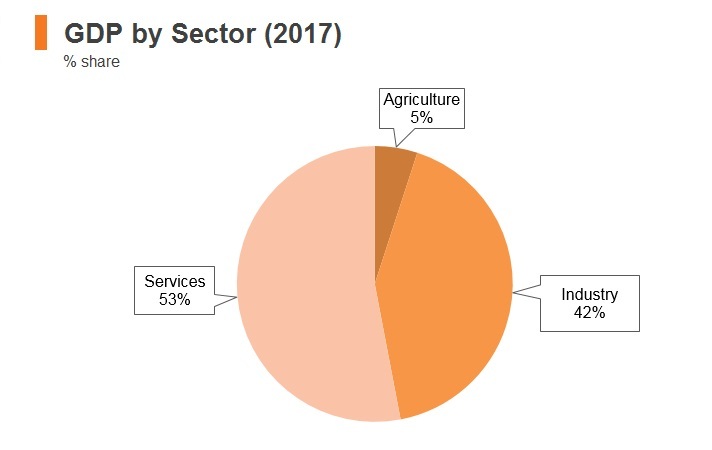 Employers that are categorised as prime contribute at the upper rate (25% from the employer and 5% from the employee), whereas other categories contribute at the lower rate (12% from the employer and 5% from the employee). VAT/GST (standard) A sales tax of 300% is imposed on alcohol and tobacco (cigarettes), 15% on travel tickets, 15% on cars, and 20% on mobile recharge cards and internet. This is in addition to services rendered by deluxe and first class restaurants and hotels, which are subject to a 10% sales tax. The employee must complete a blood test on entry to Iraq, and the employer must submit an application for a work permit to the relevant government authority with which they are normally affiliated, for example the Ministry of Oil. The lack of centralised or streamlined application procedures for work permits, which are normally processed through a labour or immigration ministry, means that the process is often slow and mired in bureaucratic inefficiency, with companies experiencing long delays when attempting to obtain residency permits. Although priority in employment is awarded to Iraqi nationals by law, in practice the shortage of high skilled labour means that there are limited legal obstacles to bringing in foreign workers. Employers will be obligated to pay exorbitant insurance premiums for foreign staff, and may also be required to offer substantial hardship and danger pay premiums. Iraq is a majority Muslim country with stricter laws on personal freedoms than workers from Western countries will be accustomed to. 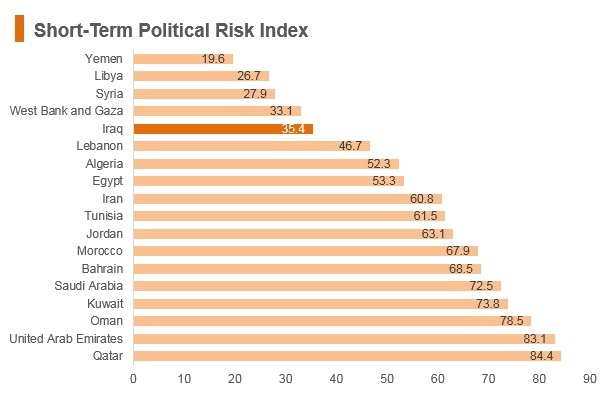 Potential foreign investors now view Iraq with much more interest. 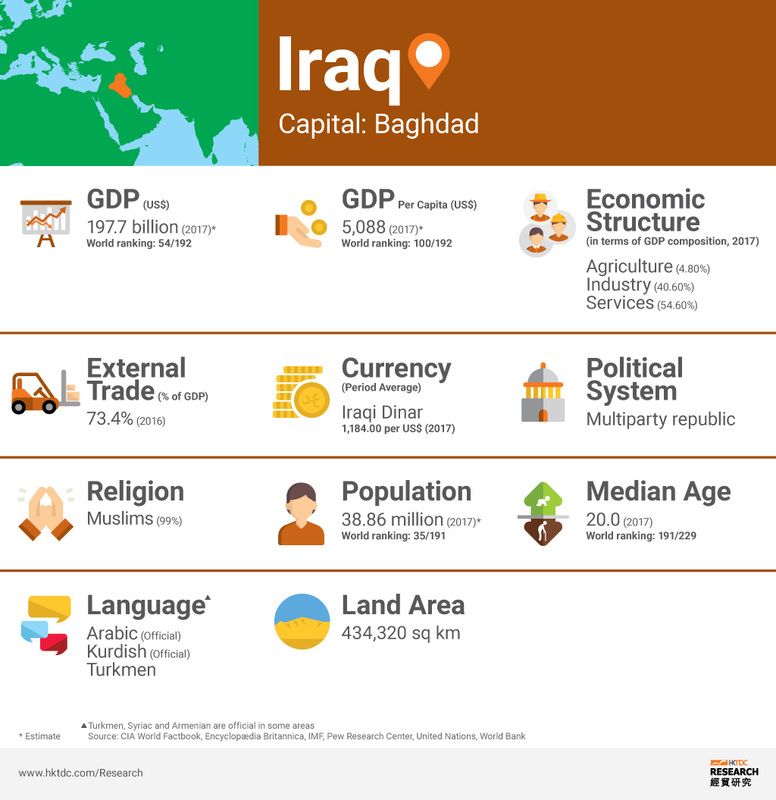 Iraq's economy is dominated by the oil sector, which provides over 90% of government revenue and 80% of foreign exchange earnings. 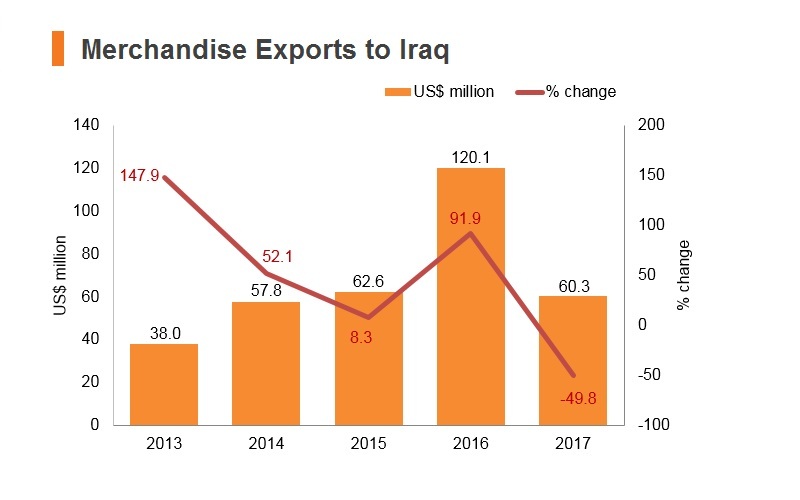 Iraq's recent contracts with major oil companies have the potential to greatly expand oil revenues, but Iraq will need to upgrade its refinery and export infrastructure to enable these deals to reach their potential. Higher oil prices should buttress the economy in 2018, although further protests could dent activity. 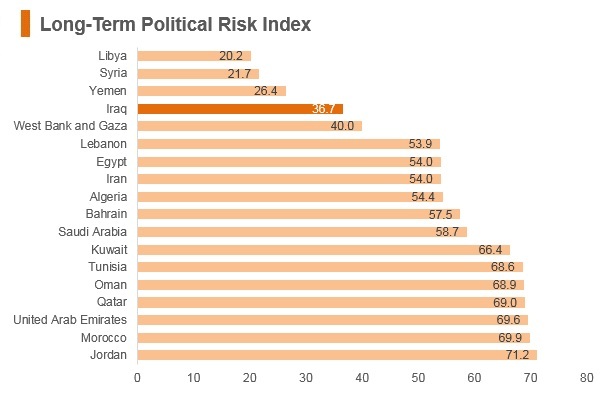 A drawn-out government formation process, endemic corruption and political instability also pose downside risks. Furthermore, potential oil-price shocks could prevent the country from receiving large hydrocarbon revenues that compensate for the absence of economic diversification. 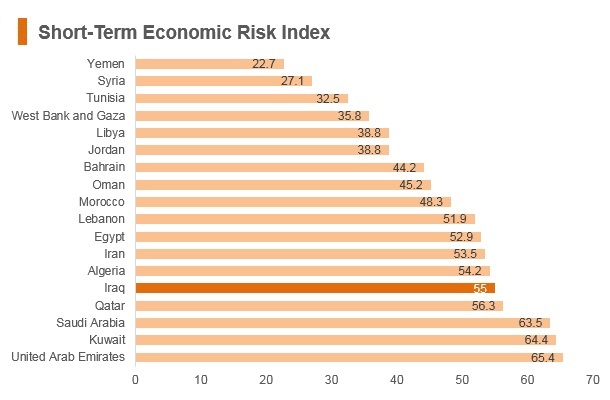 Iraq will likely experience a modest recovery in economic growth over the next five years. 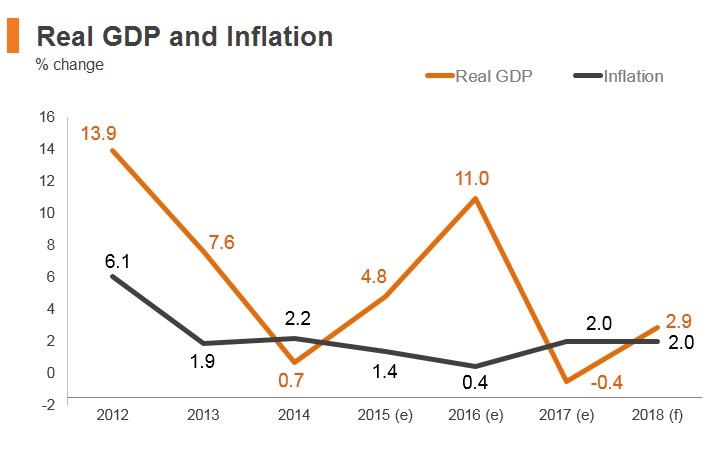 The operating environment is increasingly reflecting a brightening outlook for the non-oil economy, benefitting from confidence gains associated with higher oil prices and efforts to rebuild the country's damaged infrastructure network. That said, the country still faces significant infrastructure gaps, legal risks and security challenges that raise the cost of doing business in the country and will likely take years to resolve. Hong Kong residents require an Iraqi tourist visa, the tourist visa allows the holder to enter Iraq once during the three months from the date of grant and stay in it for a period of one month, for the purpose of visiting tourist and relic sites. The passport has validity for a period of minimum six months. Filling in a visa application form with two photographs. Ability to cover the cost of living during the period of his stay in Iraq for holders of ordinary passports. There is no objection prevent him from entering the territory of the Republic of Iraq regarding the public health, security, morals, or the national economy. Provide a convincing reason for visit. The requester is not accused or convicted of a crime outside Iraq may be extradited for. There is no order of deporting him from the Republic of Iraq and to achieve this must check the records for the barred from entering Iraq in accordance with the attached form. Full address in the place, where he will stay in the Republic of Iraq.